Offering you a complete choice of products which include genset neutral earthing electrodes, copper bonded grounding rod and copper bonded electrodes for data centres. 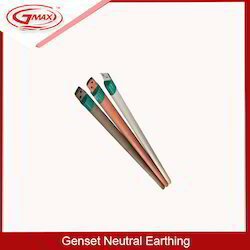 GMAX are considered in the market to be one of the finest manufacturers of these Electrical Earthing Electrode. In order to maintain this reputation, we engage in using fine raw materials and advanced technology. This product is widely praised for its non corrosive properties and high conductivity. GMAX Offered in the market at a very reasonable price, this product is highly demanded. 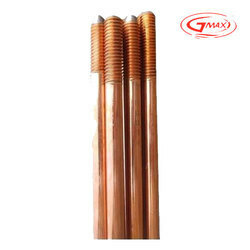 For the purpose of making the finest range of Copper Bonded Electrodes for Data Centres available in the market we engage in the utilization of high grade raw materials and modern machines, in compliance with the set industry norms and guidelines. This ensures the product’s performance and longer service life. 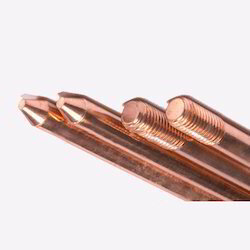 Looking for Copper Bonded Electrodes for Data Centres ?